Disclosure: This post is in partnership with The Tea Council of the USA . All opinions are 100% my own and my own recipe creation. Love a good cupcake? Or better yet, one that is full of delicious but unconventional flavors and is SO easy to make. 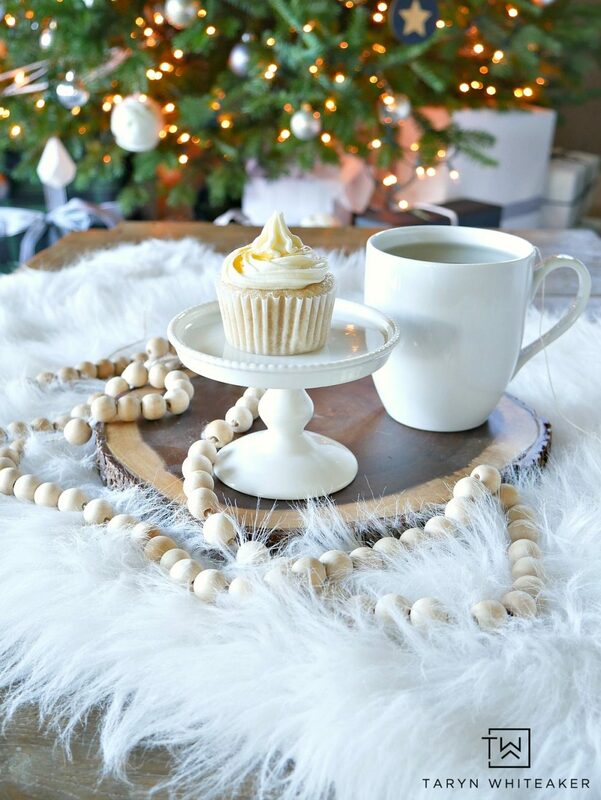 I whipped up these delicious Black Tea Cupcakes with Honey Buttercream Frosting . These would make a great dessert to bring to a party, baby shower, or just curl up with next to the fire, paired with a cup of hot tea! 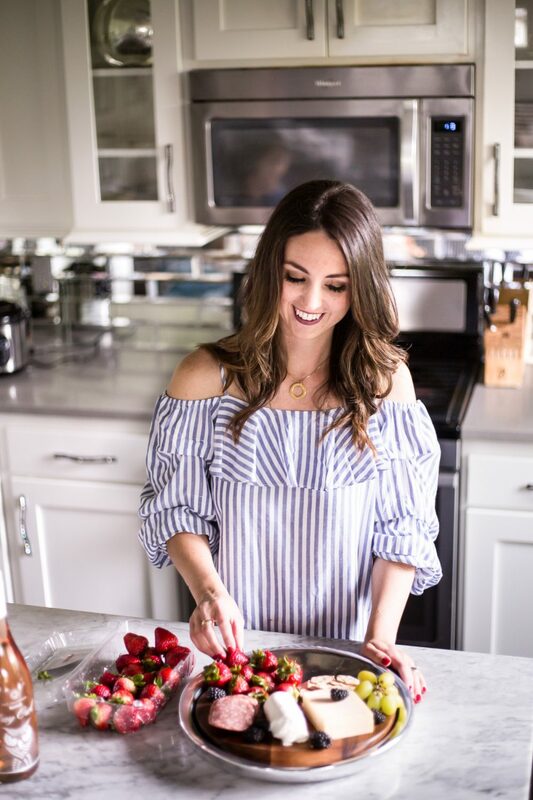 With National Hot Tea Month coming up in January, the Tea Council of the USA has launched the second annual #IndividualiTEA Photo Sharing Sweepstakes, to give tea lovers across the nation an opportunity to win $500 and a year’s supply of tea! So if you love drinking tea and using it in your baked goods, then keep scrolling and learn more about how to enter. I’m all about easy baking. I love to make homemade goodies, but baking from scratch doesn’t always work out the way that I want. 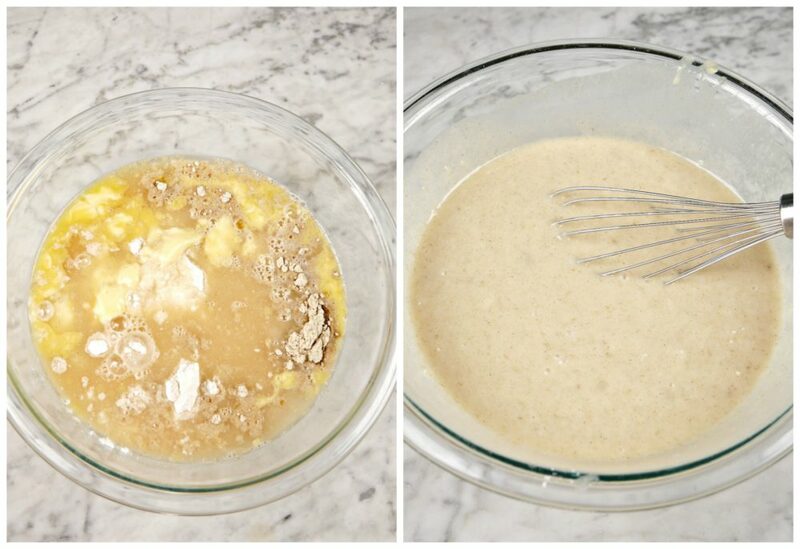 SO I’m ALLLL about the cake mix hacks. What is a cake mix hack you ask? You take your favorite premade mix and then put your own spin on it, making them custom but without all the fuss. That’s exactly what I did with these Black Tea Cupcakes. PS. Did you know that Black tea is the most commonly consumed tea in the world accounting for approximately 68% of all consumption. In the United States, well over 80% of the tea consumed is black. Thanks The Tea Council of the USA for the fun info! I started with my favorite Gluten-Free White Cake Mix and followed the directions on the back. This is what my cake mix calls for. (also note, it calls for 3 eggs, but we don’t eat eggs in our family so we use the Ener-G Egg Replacer). You’ll just add 4 black tea bags. 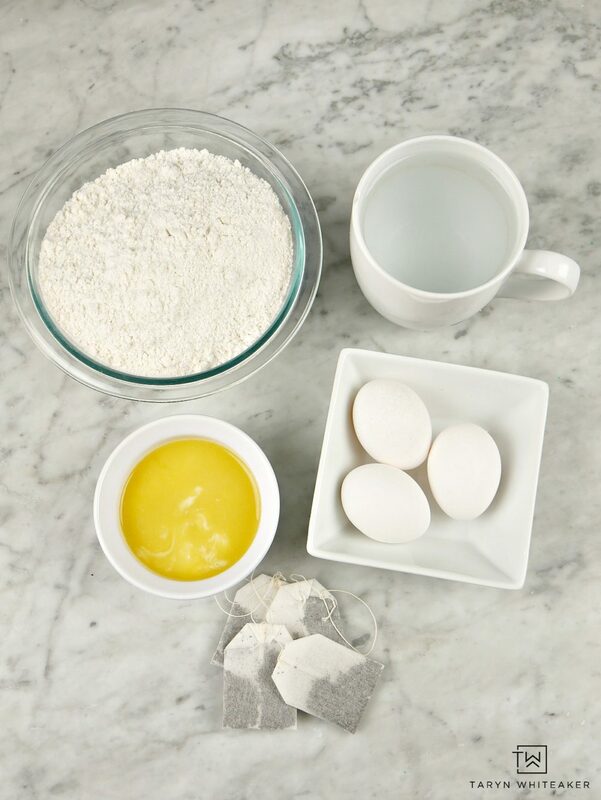 If your cake mix calls for 1 cup of water, heat up your water and soak the tea bags in there for a full 5 minutes. You’ll see how much the color changes as the bags soak and all that flavor is released. 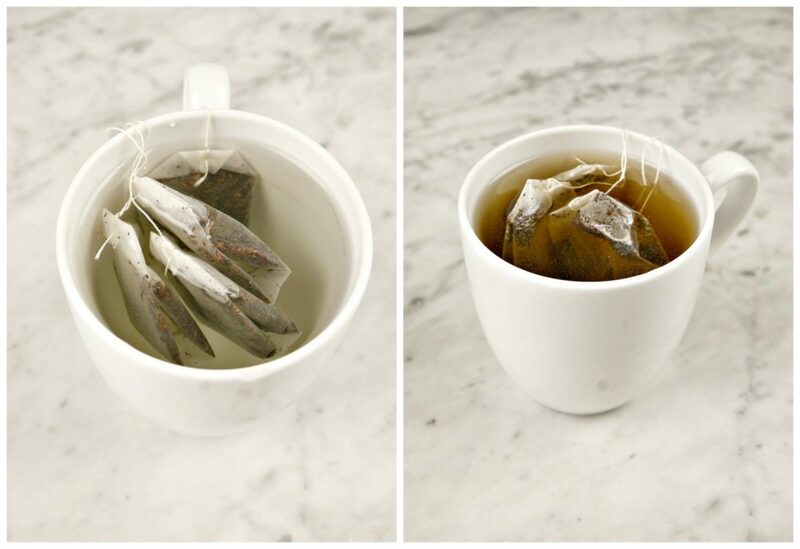 *If your mix calls for milk, simply soak the tea bags in the milk. Pour all the ingredients into the mix, along with the tea flavored water and mix. 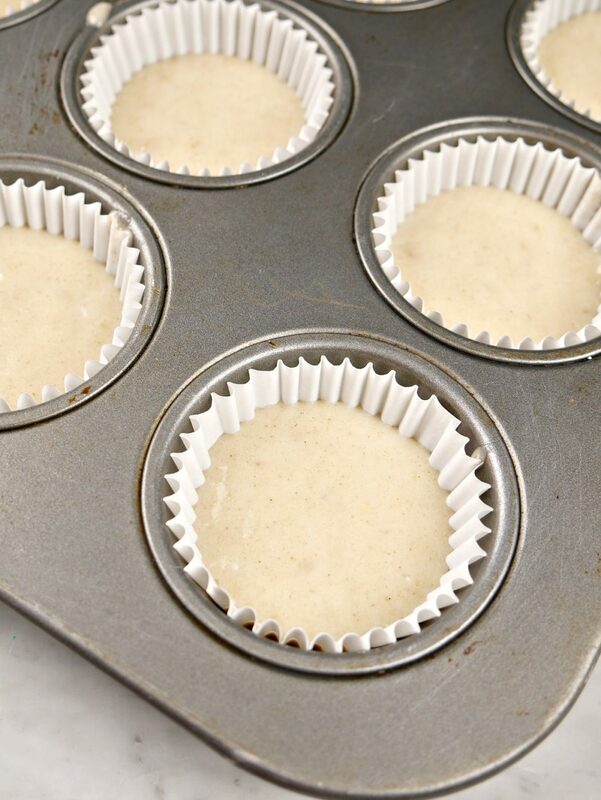 Fill your cupcake liners about 3/4 full and place in the oven for about 18-20 minutes at 350 degrees. For the frosting, combine two sticks of butter, powdered sugar and honey and beat together. The flavor is SO good. 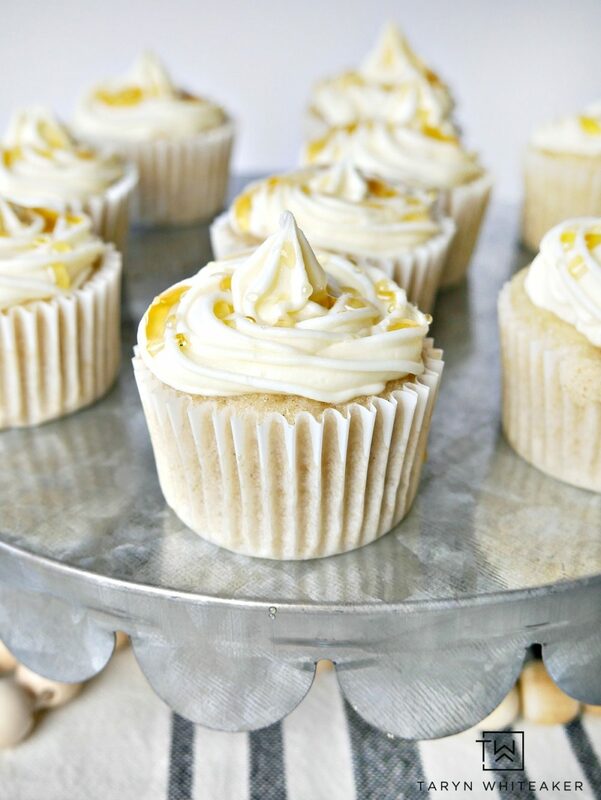 Once the cupcakes have cooled, frost them using a piping bag and drizzle some extra honey on top. Unique Cupcakes that are full of flavor combing Black Tea and Honey. 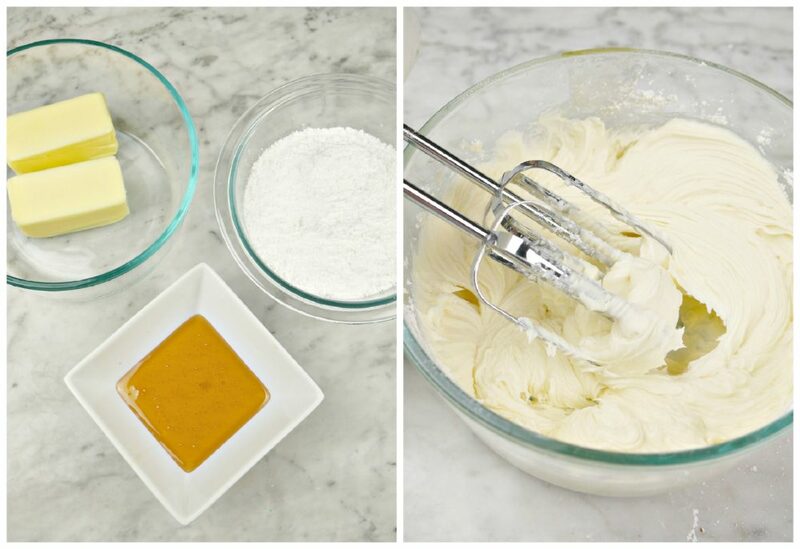 While the cupcakes are cooling, combine all the frosting ingredients and mix until creamy. 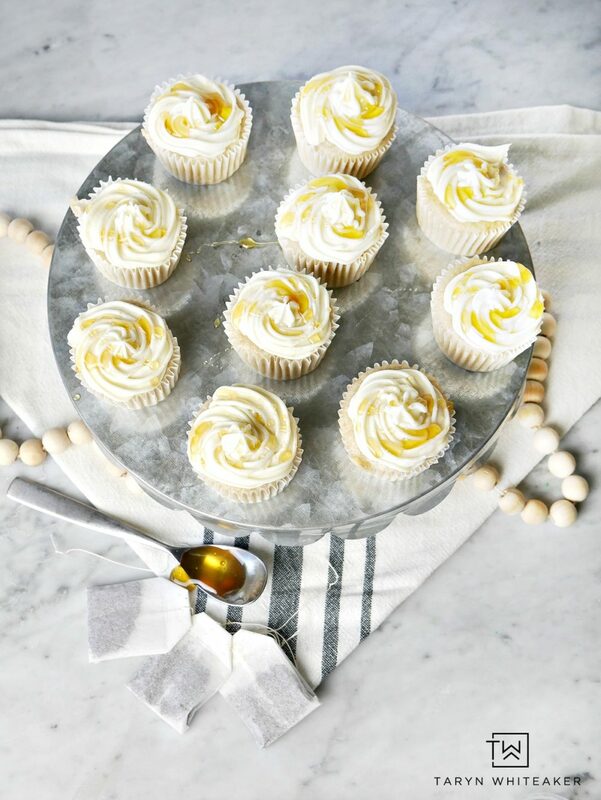 Using a piping bake and your favorite tip, frost the cupcakes and drizzle honey on top. These are just SO yummy and full of flavor. The more bitterness from the black tea with the sweet honey buttercream are really complementary. 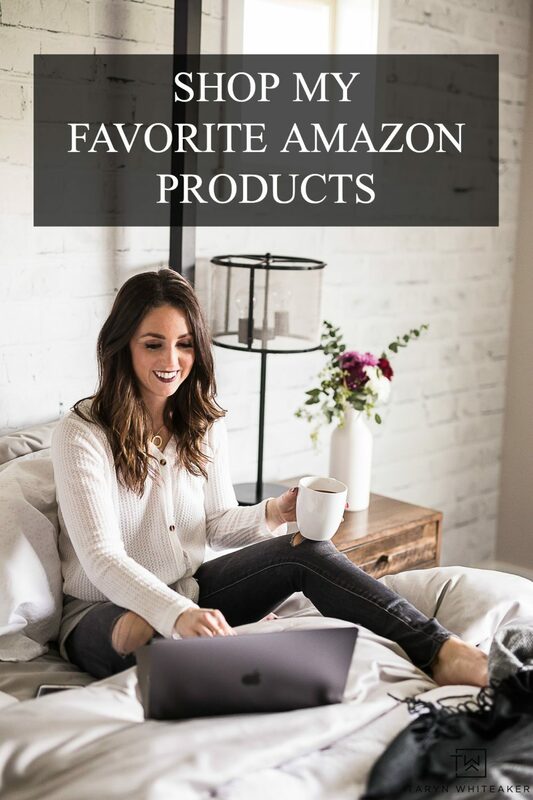 Try them out, they are so good and really different that your typical cupcake. My 6 year old daughter gave them two thumbs up! Don’t forget to enter the sweepstakes below with your creation! Not much of a tea drinker except sun tea in summer but will try it. These cupcakes look so good,must try.love idea of recipe hacks. Saw you were on RachaelRy show, good job. Oh my goodness I have to try this! My teenage son and I love to drink tea and I think he would like this. I’ve also made very good frosting by just whipping cream cheese with honey, which I think I will use for this. It’s not super stable and needs to be eaten within about two days. Which will be my pleasure!